The European Commission will in a report today warn that so-called ‘golden visa’ schemes pose a risk to EU security. Malta’s citizenship for cash scheme will be named along with other investor visa or passport schemes offered by European countries including the UK. This sort of report gives some comfort to those looking for moral equivalency to justify what they know to be wrong. Why should we be, as the phrase goes, more Catholic than the Pope? Or as Robert Musumeci notoriously puts it, why should we be holier than thou? ‘Thou’ here being some other European countries that after all are doing what we’re doing and selling their passports for money. No, they aren’t. Things look the same on paper but the differences are quite crucial. If an investor comes from abroad, sets up house in Malta, brings money and spends it here to generate economic activity in an area Malta has chosen to promote for development because it adds value to our economy and our environment, employs people and becomes part of this community, then by all means at some point — when their commitment is confirmed — they should be recognised as Maltese. Of course the same should apply for any old employee of whatever rank. It is not just investors that contribute to an economy and community life. We couldn’t do it without the labour we import. And we couldn’t do it without the nurses and the street sweepers we import either. No reason why any of those should not be recognised as citizens after a while living among us. After all we don’t give local entrepreneurs a privileged right to citizenship over local employees, civil servants, or even the unemployed, vagrants or criminals. But the issue with Malta’s passport scheme cuts deeper than the unfairness of reserving it for the rich and denying it to the 99% who don’t have six figure sums to spend on a document. Malta lies to itself and the world about whether acquirers of Maltese passports are actually investors at all. It also lies to itself and the world about whether they actually live here. The list of new Maltese citizens published recently allowed us to identify over 60 Saudis from a handful of families that have acquired Maltese citizenship. The law says they had to have lived here for some time before they could acquire their passport. If 62 oil rich Saudis lived here for over a year we’d have noticed them. This is not a big place. It’s utterly delinquent that this law, written to soothe the conscience of the European Commission that our scheme is not worse than any of the others, is wilfully ignored. The security risk of providing passports and visas to people who pay for them is something the Commission said it’s concerned about. But doing so to people who had lived under your watch for some time is incomparably less risky than giving passports to people you’ve never actually seen before. The fact is the European Commission cannot do anything about this. The EU institutions have no legal power to act on Member States and how they regulate their citizenship. It’s just not their competence to do so: certainly not much beyond complaining about it. This is something only we can deal with. And we must because today we may be happy the European Commission can’t really stop us but one day this potential security risk will convert in an actual catastrophe. The day may come, I sincerely hope never, when a Maltese citizen will cause grave harm elsewhere in the world and our citizenship will have enabled him to do it. When that day comes other countries will do what they can to learn from that lesson to protect themselves. And they will protect themselves from anyone carrying a Maltese passport. Right now our passport is a fast line ticket through airports all over the world. It’s why billionaires want to buy it. 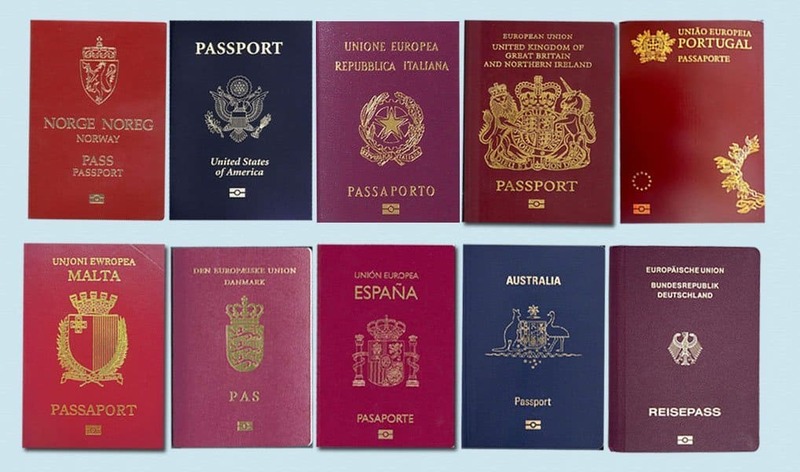 When its value decreases after other countries start looking at it askance, billionaires will move to other passports. We’ll be stuck with ours.